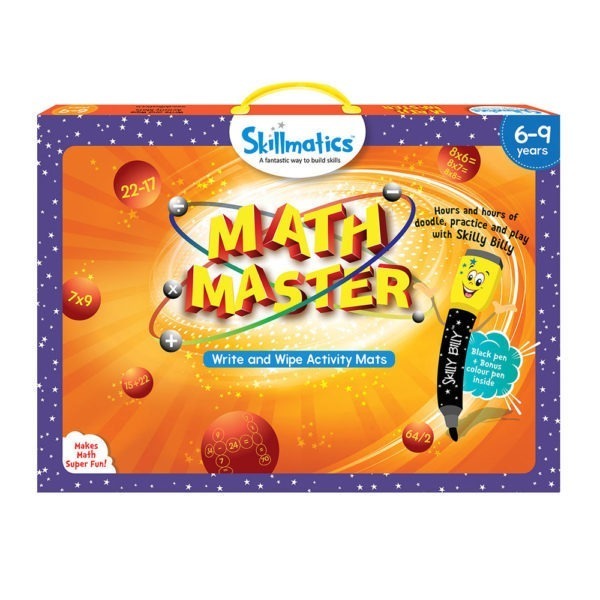 Skillmatics Math Master facilitates the mastery of the math processes through practice. 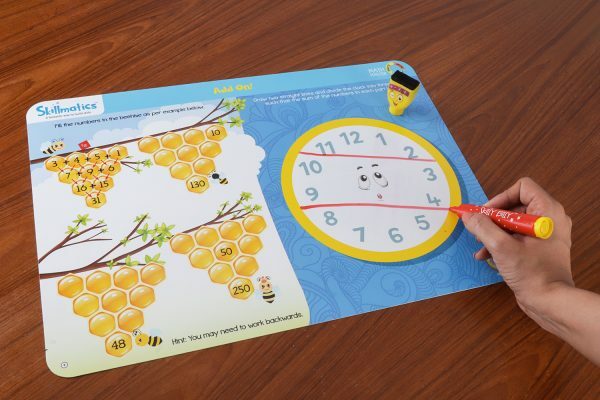 The activities are highly challenging and make the process of learning math super fun! 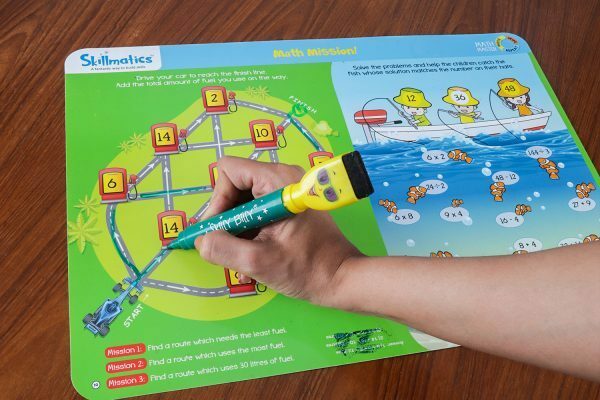 Go fishing for solutions to math problems with this fun pack. 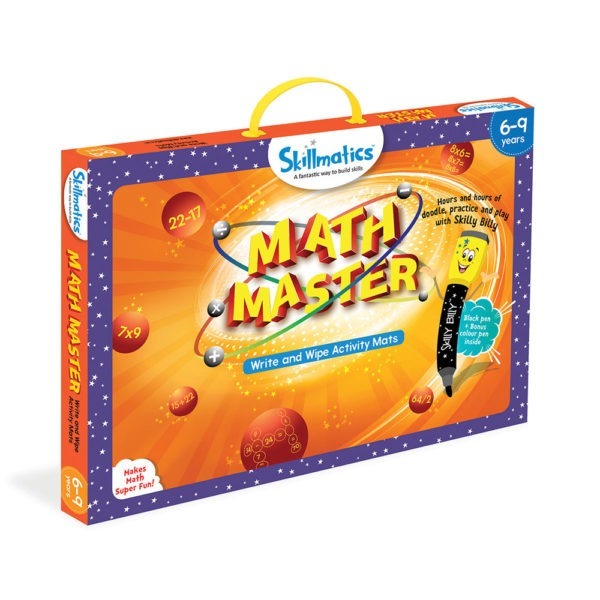 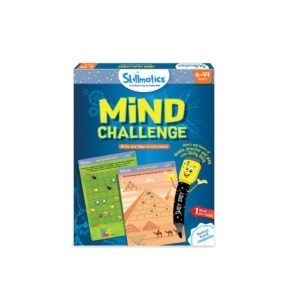 Add joy, subtract fear and multiply the brainpower with everyone’s favourite friend – Skilly Billy. 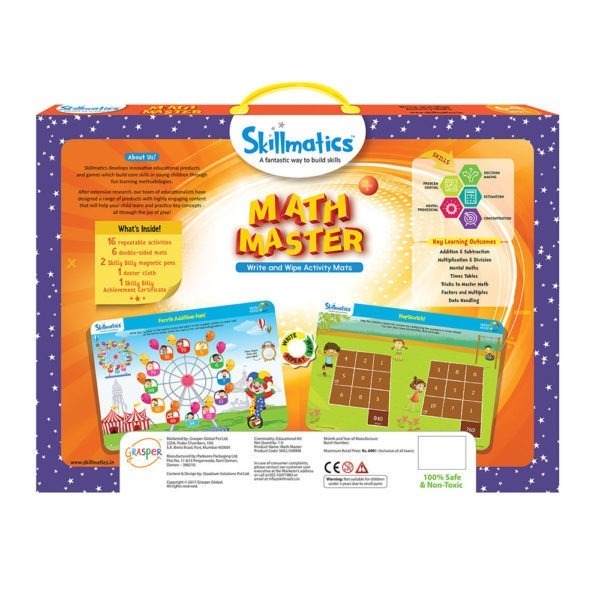 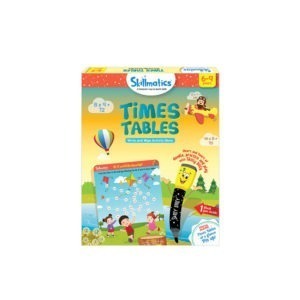 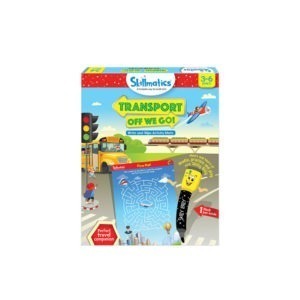 4) HAPPY KIDS – Skillmatics reusable activity mats ensure kids have fun while they learn key concepts. 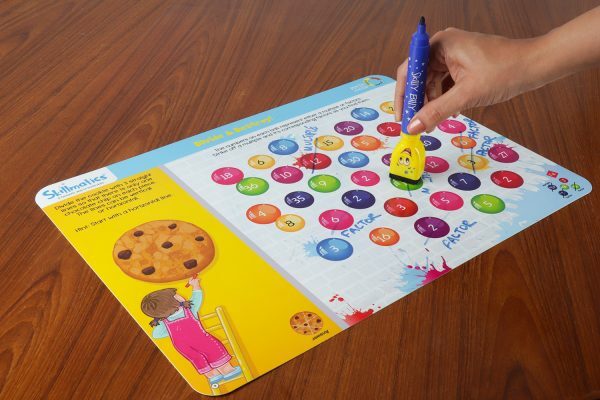 It is also great for children to bond with their friends, siblings & family. 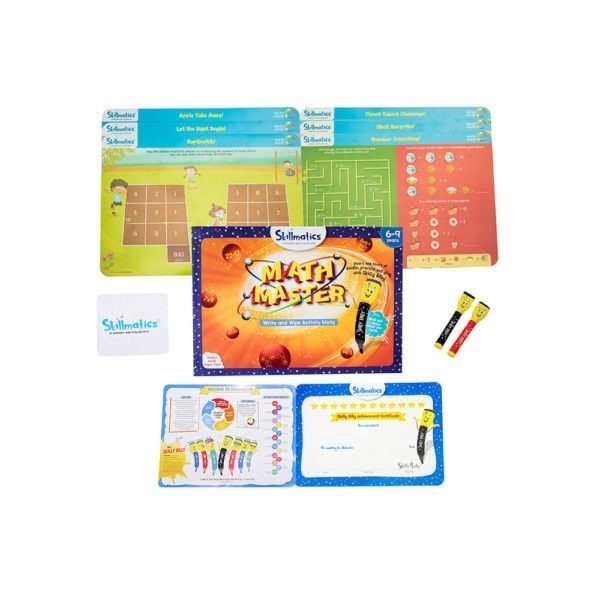 5) KEY SKILLS – Problem Solving, Critical Thinking, Estimation, Decision Making, Concentration ✪ KEY LEARNING OUTCOMES – addition and subtraction, multiplication and division, mental maths, times table, tricks to master math, factors and multiples, data handling.